This part of the game is similar to an RTS/conquest game: You will be constructing on predetermined spots, and each spot can host only one type of building. In this respect, Left To Survive doesn’t give you a choice, so you can’t construct anywhere you want. Likewise, you cannot construct a building more than once. The only thing you can do is to act in the order that is set for you: Collect enough resources, complete the next building on the list, move on to another until all of your spots are filled. So, you cannot use a strategy in this respect. The upper part of your base is reserved for production buildings. You can upgrade each one and place at least one survivor on them. The upgrade process allows the building to produce more and increases its health points. 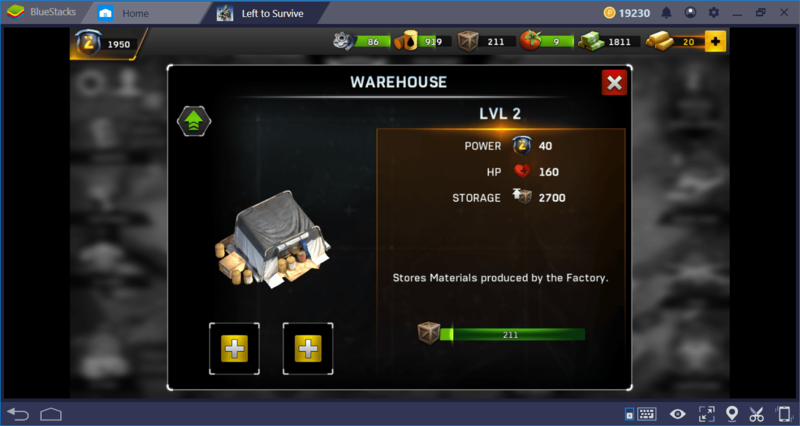 Due to the “base raid” feature that we’ll talk about below, it’s possible to destroy buildings – so you’ll want the health points to be as high as possible. At the bottom of your base, you can build facilities for defense purposes. After unlocking the base raid feature, you will want to build as many towers as possible, because they are your only defense against helicopter raids. 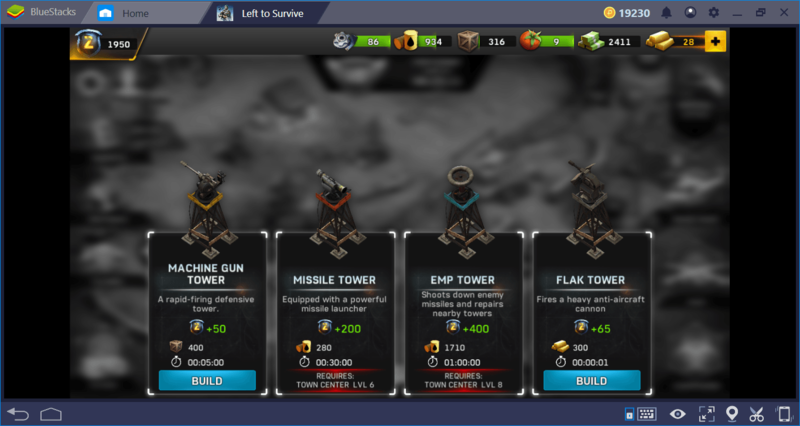 You can place survivors on your towers too and make them more effective. You may not have a choice in regards to construction, but there are some things you can do to improve production and manage your base. First, let’s see a complete list of Left To Survive buildings. Factory. The building used for material production. The materials are used in the construction of other buildings and are crucial for your base to grow healthily. You will have to collect as many materials as possible from the beginning of the game. 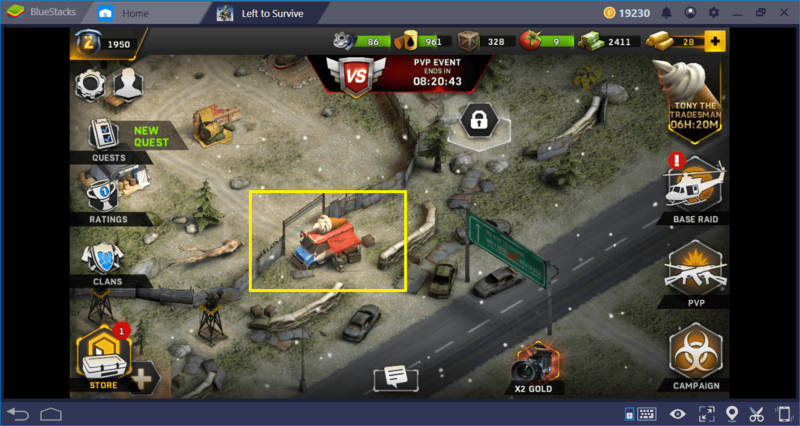 Note that the “plus” signs on the interface determine how many survivors can be placed on a building. Warehouse. The building where you will store the materials you produce. You must upgrade this one at the same time with the factory, otherwise, your material production will stop after reaching a certain limit. Oil Rig. The building used for oil production. 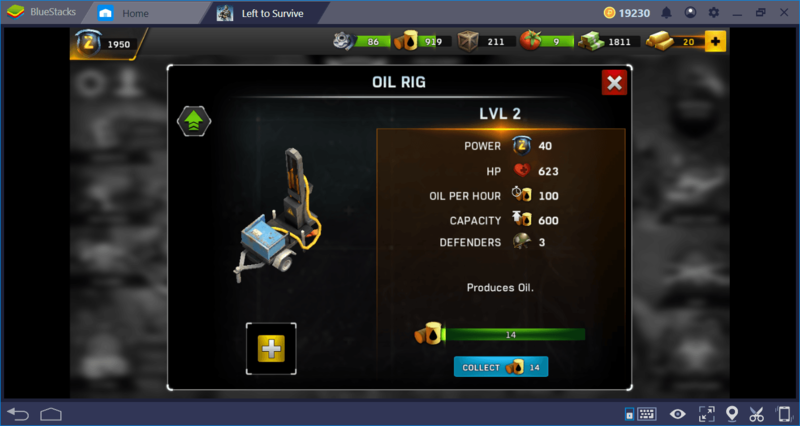 This is a resource used for building upgrades and when you unlock the base raid feature, you have to have a large oil stock. Because some of the towers can only be constructed and/or upgraded with oil. 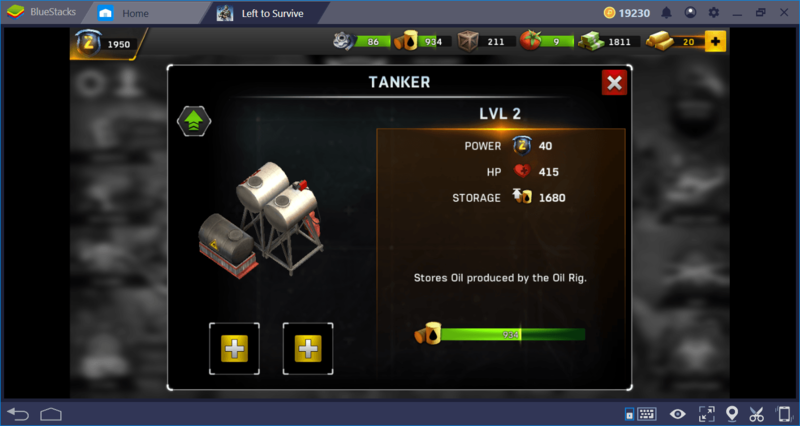 The storage building for oil is called “tanker” and it works exactly like the factory warehouse. Farm. The tomatoes used in campaign missions are grown in this building. The more tomatoes you have, the more missions you can complete every day. 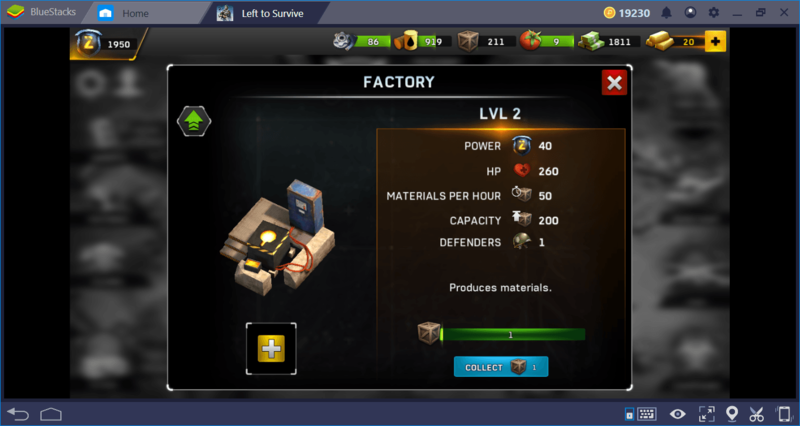 It should be the first building to upgrade with the factory. Place the first survivor you get at the end of Stage 1 into this building. Armory. Produces scrap metal. 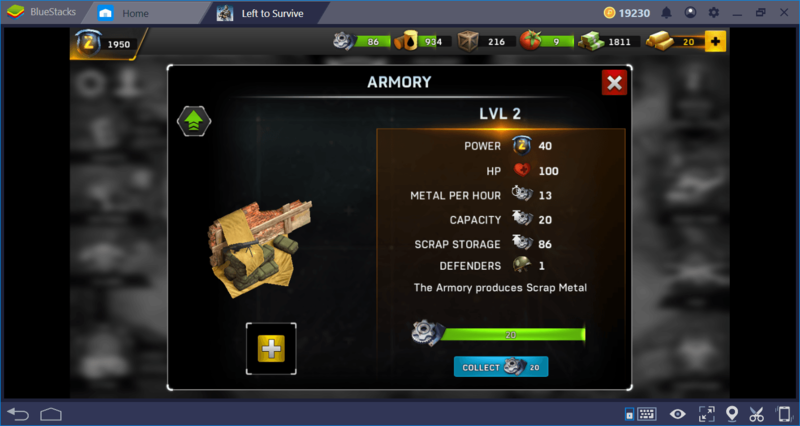 This resource is used to upgrade weapons and to tell the truth, you won’t need it that much, so don’t rush to upgrade the armory. 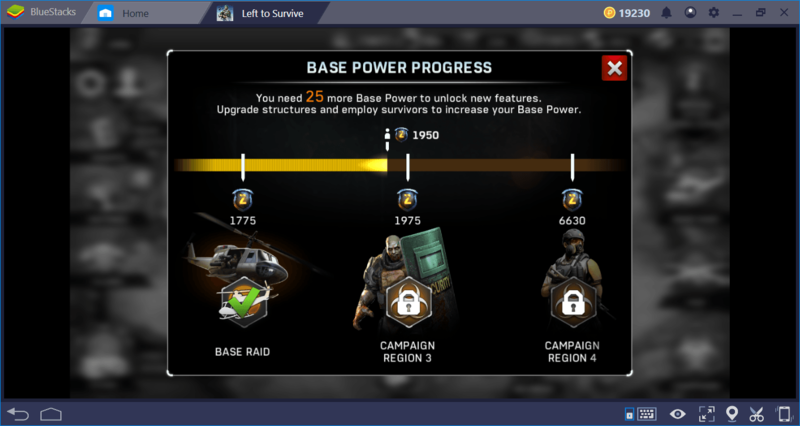 Constructing and upgrading all these buildings allows you to earn “base points” each time. By using these points, you can unlock many features in the game. 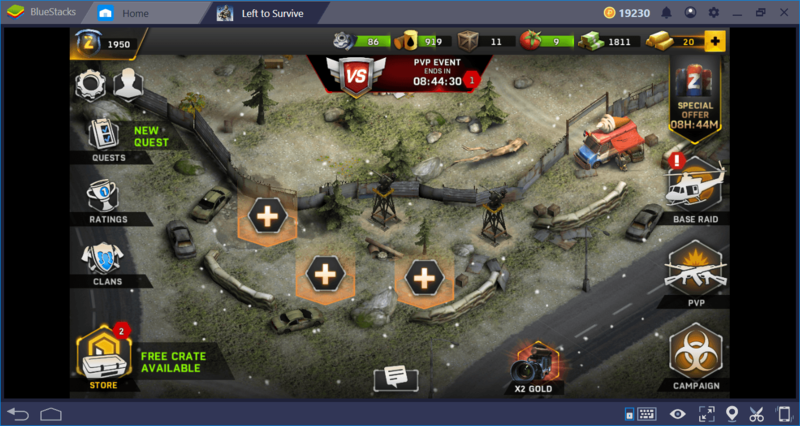 For example, you need to collect 1775 points to use the base raid feature mentioned above. After that, you can attack the base of other players with a helicopter. Of course, they can also attack you the same way: You have to build towers to prevent this. The towers will protect your base from helicopter attacks and they can run automatically. But if you place a survivor with the “defender” ability inside, you can make them more effective. There are four types of towers that you can build and each one has a different defense type. Machine Gun Tower: Shoots the helicopter, but its attack power is very low. Build at least 2 of them. Missile Tower: Its attack power is much higher than the Machine Gun. Before reaching 1775 points, make sure to save enough resources to build at least one machine gun and one missile tower. Otherwise, you will be vulnerable to base raid attacks. EMP Tower: Shoots the rockets targeting your base, not the helicopter, and repairs other towers. Build one. Flak Tower: This is the strongest tower you can build and even two of them are enough to destroy a helicopter. 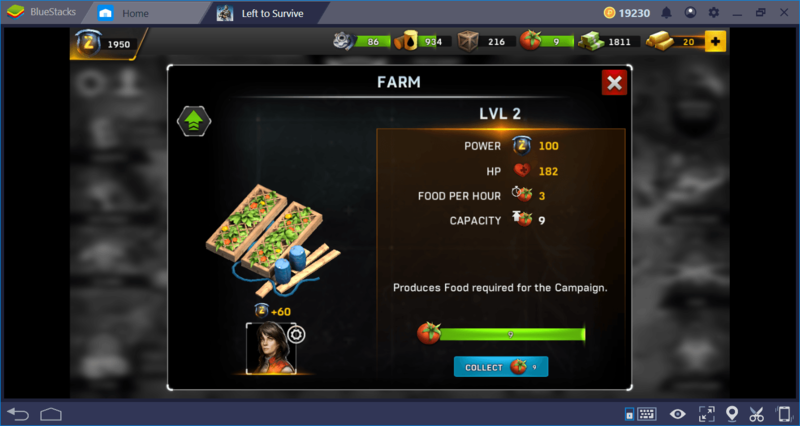 Unfortunately, you can construct this tower using only gold and it will be quite difficult to reach the required amount if you are a free player. Nevertheless, try to build at least one. 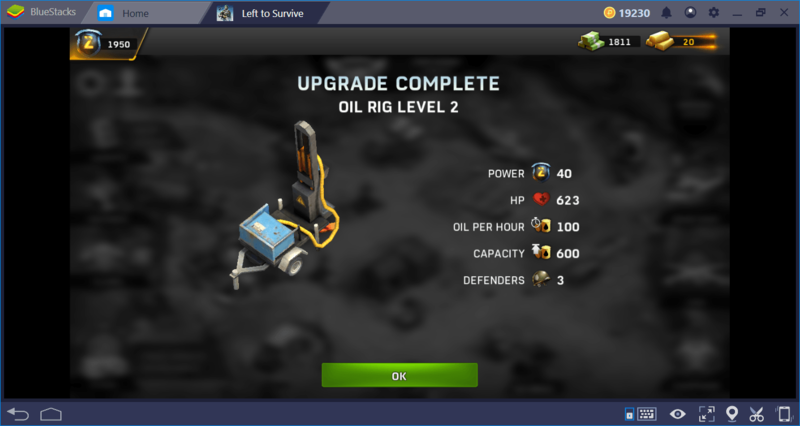 You can also upgrade towers, but it will be much more expensive than buildings. In order to start the upgrade process, your Town Center must be at least level 5, so we recommend that you focus on this first. This is the only feature of the Town Center by the way: You cannot start taking care of other buildings without upgrading it first. Here is a little hint: A traveling salesman is always ready to sell you something at the entrance of your base. The prices are quite high and the content of the shop changes constantly, but if you need a source urgently, you can try your chances. Left To Survive may not give you much freedom in base construction, but you need to make important decisions in terms of management. 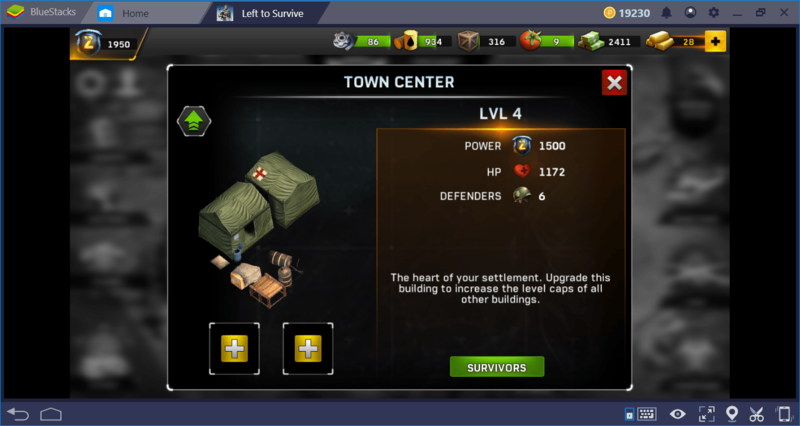 You can place a survivor in each building and make them much more efficient. For this reason, we recommend that you read our guide about survivors to continue. 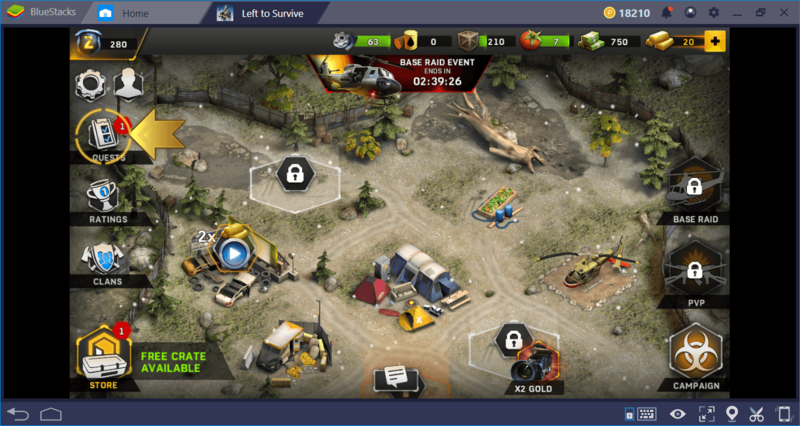 Now, you know how to manage your base to survive in the lawless world of Left To Survive: It’s time to jump into your helicopter and attack other bases!